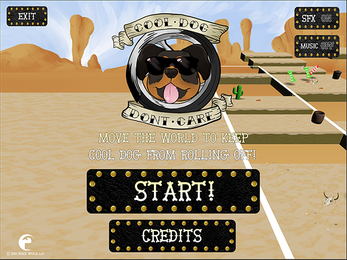 In Cool Dog Don't Care, there's a dog. He's wearing sunglasses, and riding a motorcycle in the desert. Why? Who cares! He certainly doesn't. He's just going to drive his motorcycle forward. He's going to fall off or hit something if you don't shift the world around him. 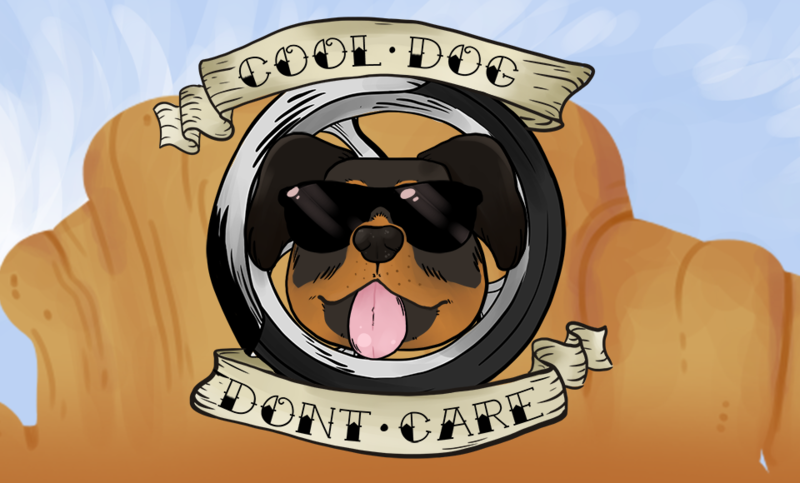 You earn points for how far Cool Dog gets. 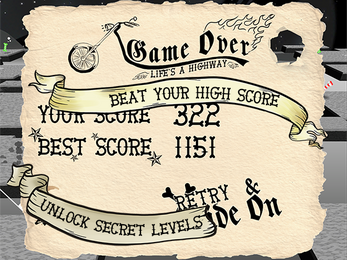 The further he goes, the more points. Pretty simple! There are also 3 types of bones. 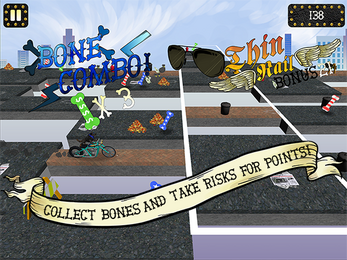 If he picks up 2 or more of the same type of bone in a row, you get extra points! There are also really thin platforms. If Cool Dog rides over those, you also get extra bonus points! 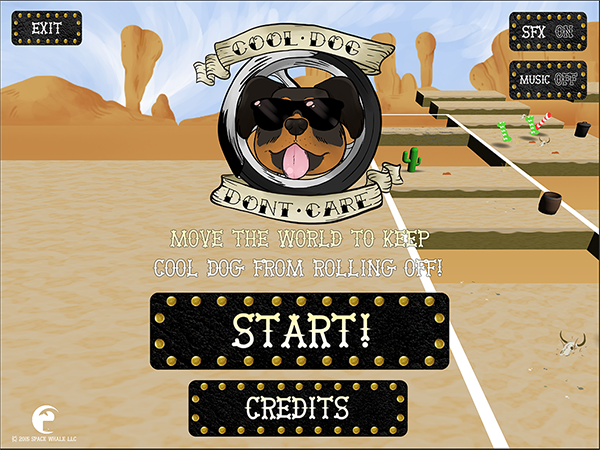 Cool Dog Don't Care is available for Windows, OSX, and Linux computers. It's 100% DRM-free, and has no micro-transactions. Just pay for the game, and it (and all updates) are free! You can follow updates for Space Whale on twitter! 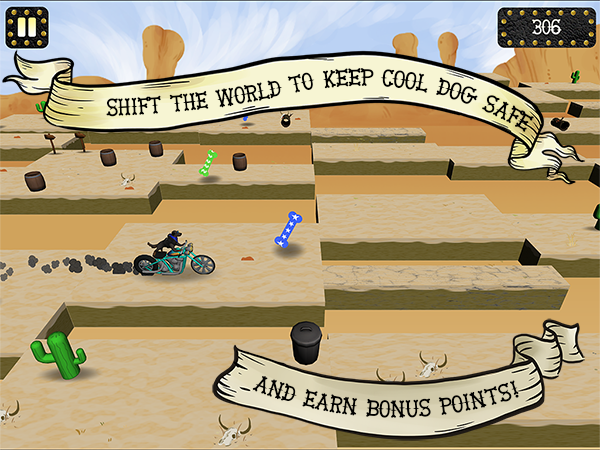 That's right, Cool Dog Don't Care has already won some awards!